There was a time when Bluetooth speakers were like jelly beans: They were cheap, they all looked the same, and they were invariably of dubious quality. Times have changed. Every major audio manufacturer has at least one model on the market today, and most have several. If you haven’t listened to a Bluetooth speaker lately, you’re in for a very pleasant surprise. The industry’s progress doesn’t mean that every Bluetooth speaker justifies its price tag, no matter how inexpensive it might be. There’s still plenty of dreck floating around. Don’t worry, we’re here to help you steer clear of the junk and point you to the best speakers at the price range that fits your budget. 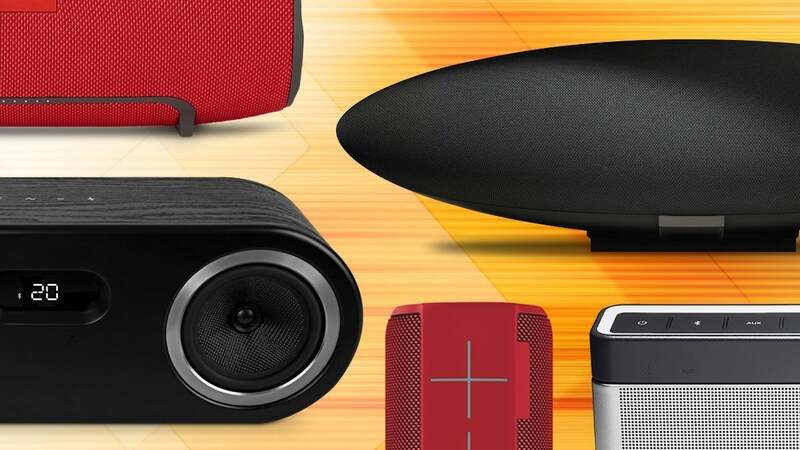 To that end, we’ve picked the best Bluetooth speakers (and runners-up in some cases) in six categories: budget, mid-range (up to $300), outdoor, bookshelf, high-end (up to $750), and—yes, there are ultra-high-end Bluetooth speakers—price is no object. Some of our picks can be used indoors and out, but we’ve also named our favorites that are designed primarily as outdoor speakers. 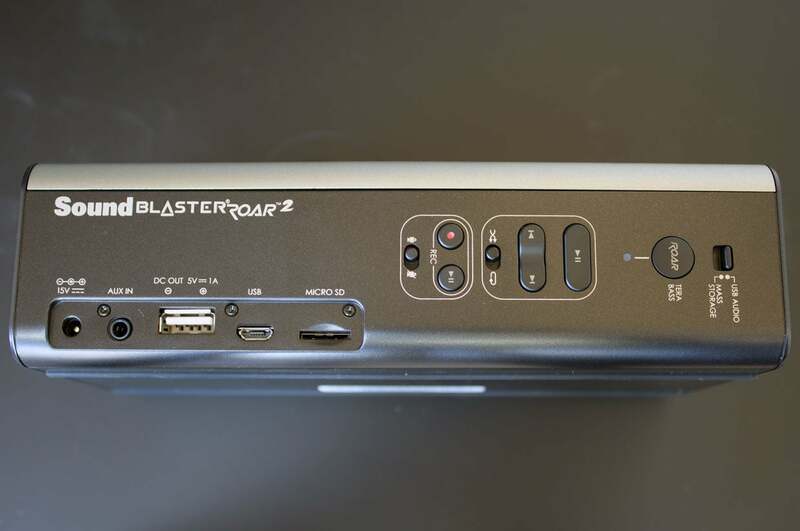 Updated April 17, 2019 to add our review of the Cavalier Audio Maverick smart speaker. This beautiful Bluetooth speaker also supports Wi-Fi streaming and it has Amazon’s Alexa digital assistant onboard, but we were ultimately disappointed with its performance in the most important area for a speaker: Its audio reproduction. Needless to say, it didn’t displace any of our top picks. This mighty mite produces shockingly good sound for its size and price—but only in its Extra Bass EQ mode—and it's water resistant to boot. The Bluetooth speaker market is a cutthroat business when you get to this price range. The good news for music lovers is that you can find some very good products here. If $60 is too much for your budget, consider our runner-up, the Aukey SK-S1 (see below). 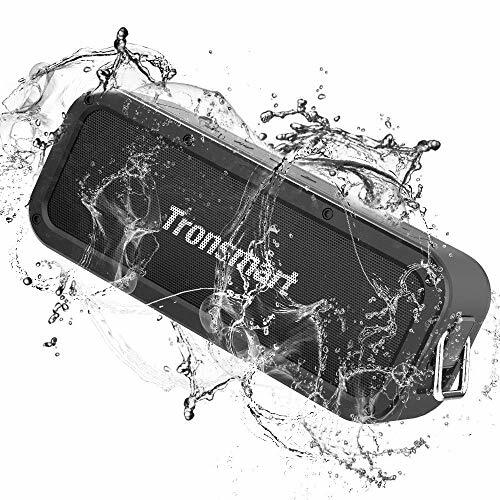 Otherwise, we can’t say enough good things about the Tronsmart Element Force SoundPulse, which features IPX7 weatherization, support for True Wireless Stereo (so you can operate two of them as a stereo pair), and absolutely fantastic sound (in Extra Bass EQ mode, that is). That’s a lot of speaker for just 60 bucks. This Bluetooth speaker is meant to look good on your desktop, not the pool. It also sounds quite nice at low volumes. Given the price, and speaker phone functionality, it's pretty much the perfect workplace audio accoutrement. Oppo's first wireless speaker is fabulous; it's a great value for the money. Oppo has been crafting some fabulous audio products lately, and its Sonica Wi-Fi is a prime example. More than just a Bluetooth speaker, you can also stream music over your Wi-Fi network—it has a dual-band adapter just for that purpose. And if that’s not flexible enough for you, it supports Apple’s AirPlay technology, too. 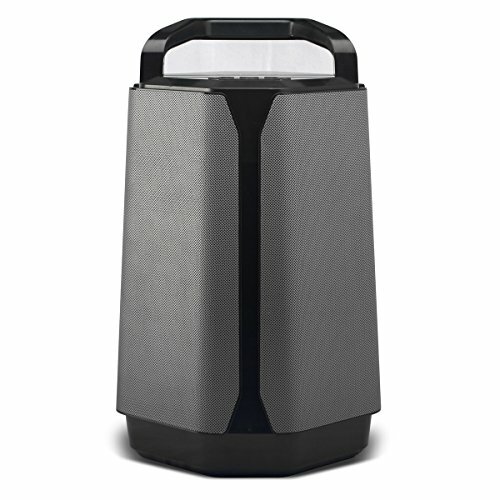 Most importantly, the Sonica Wi-Fi sounds superb. Capable of decoding audio files with up to 24-bit resolution and sampling rates as high as 192kHz, it’s easily the best powered speaker in its price range. These self-powered speakers sound stunning for the price. Bluetooth, digital, and analog input as well as extensive EQ abilities and processing sweeten the deal. The only possible drawback is the cable required to connect the two speakers. The bookshelf speaker might seem like it belongs in the history books, but when you’re looking for true stereo performance in a compact package, that form factor is hard to beat. Edifier’s S2000 Pro knocked our socks off with their power and flexibility. They’re more like professional studio monitors—complete with balanced XLR inputs and outputs—and well worth their $400 asking price. Highly recommended (even if you never plan to set foot in a recording studio). Better sounding than the original, the Pulse Mini 2i can also now be controlled via Alexa and it supports AirPlay 2. For the price you can't do better. 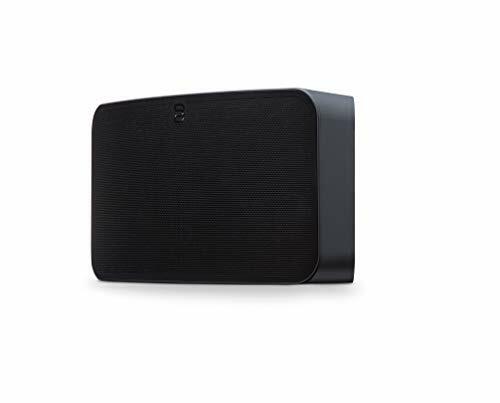 In addition to Bluetooth, you can control this speaker over Wi-Fi with Bluesound’s apps for Android, iOS, macOS, and Windows; it can be part of a multi-room audio system with other Bluesound speakers or other speakers that support Apple’s AirPlay 2 technology; you can configure two of them as a stereo pair; it supports the aptX HD codec for streaming high-resolution audio; and it features a bi-directional Bluetooth radio, so you can stream music to it and listen to music from it using Bluetooth headphones. It goes without saying this speaker sounds absolutely divine. Highly recommended. This is the best powered outdoor speaker we’ve heard since Soundcast introduced its Outcast speaker nearly 10 years ago. It’s built like a tank; splash resistant, so you can use it poolside or at the beach; and it delivers outstanding battery life. Most importantly, however, it sounds fantastic. Expensive, but worth it. The Bose Soundlink Revolve+ is a pricey, but excellent omnidirectional wireless speaker that most people will love. As great as it sounds, the Soundcast VG7 won’t fit everyone’s budget. And while the Bose Soundlink Revolve+ isn’t exactly inexpensive at $300, it delivers exceptionally good audio from a much smaller and lighter package. Highly recommended. The Mu-so sounds every bit as as beautiful as it looks. Yes, it's pricey at $1500, but its price tag is fully justified by its build quality and audio performance. You should expect a lot at this price, and Naim Audio doesn’t disappoint. This speaker is larger and more powerful than B&W’s Zeppelin and like that speaker, it gives you just about every option you could ask for: Bluetooth, of course (with both Android and iOS apps), but also Wi-Fi, AirPlay, hardwired ethernet, a USB port, 24/192 support, Spotify Connect, aptX, optical digital input, and multi-room audio support with other Naim components. And the sound? Exquisitely precise. The soundbar-like design of Naim’s Mu-so Bluetooth speaker isn’t for everyone. If you want elegantly designed high-end speakers you can connect to via Bluetooth (and lots of wired ways, too), Shinola (and its design partner, studio-monitor builder Barefoot Sound) have what you’re looking for. Named simply Shinola Bookshelf Speakers, these loudspeakers sound every bit as beautiful as they look. Not convinced the picks we’ve listed above are exactly right for you? 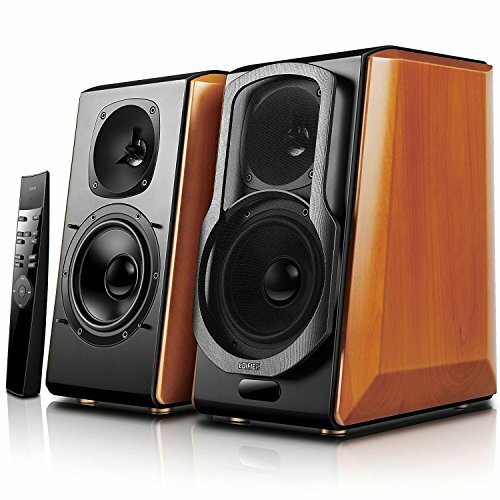 This guide will help you sort through the facts, figures, and specs to determine which speaker will best meet your needs. Your first decision will be to choose between mobile and stationary form factors. The majority of Bluetooth speakers are portable because they get paired with mobile phones, but more and more manufacturers are introducing models designed to remain inside the home. Choosing a portable model gives you the best of both worlds in some respects, but a stationary speaker is more apt to blend into your home’s decor. And while we’ve heard some pretty spectacular portable Bluetooth speakers, a plug-in model is more likely to produce the sound you’re looking for if fidelity is priority one in your book. App support: Companion apps can provide lots of additional features to a speaker that wouldn’t be possible with just physical buttons on the speaker itself. The app might enable more than one person to be the DJ, queuing up songs to play on the speaker. 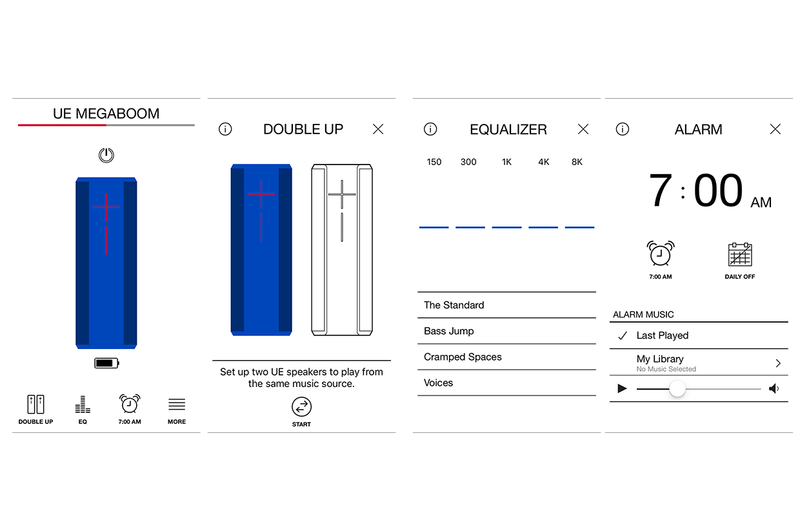 An app might enable you to create customized EQ curves for different styles of music, create wake-up alarms, or power the speaker on and off remotely. aptX support: Bluetooth audio must be squeezed down in order to stream over the airwaves, and the default codec use lossy compression that throws some of the musical data away. Qualcomm’s aptX codec is lossless, so none of the musical detail is lost in the process. But aptX must be present at both ends of the stream, in the playback device and in the speaker. Most Android devices support aptX, but Apple devices do not. aptX HD support: This version of Qualcomm’s codec supports high-resolution audio files, but it’s hard to find even in the highest-end Bluetooth speakers right now. As with its sibling, the codec must be supported on both the audio source and the speaker in order to work. Battery: Next to fidelity, a portable speaker’s most important feature is how long it can operate when it’s not plugged into the wall. You should expect a battery to last 10 to 20 hours, but remember that the bigger the battery, the heavier the speaker will be. Charging options: If your speaker has a battery, it will need to be charged. Speakers that charge their batteries via a USB port are more convenient than models that require an AC adapter, but larger batteries might not offer that option. Some speakers also let you plug in a USB cable to tap their battery to charge your smartphone. 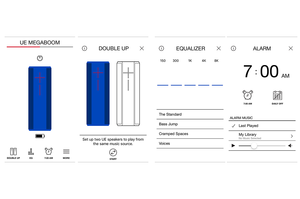 DSP: An onboard digital signal processor (DSP) lets you electronically change how the speaker is driven in order to compensate for speaker placement or the acoustical properties of your room, among other things. Mounting options and accessories: A portable speaker should be easy to take with you. While some Bluetooth speakers count on their size to make them easy to grip, others provide a lanyard, carabiner clip, or a shoulder strap. 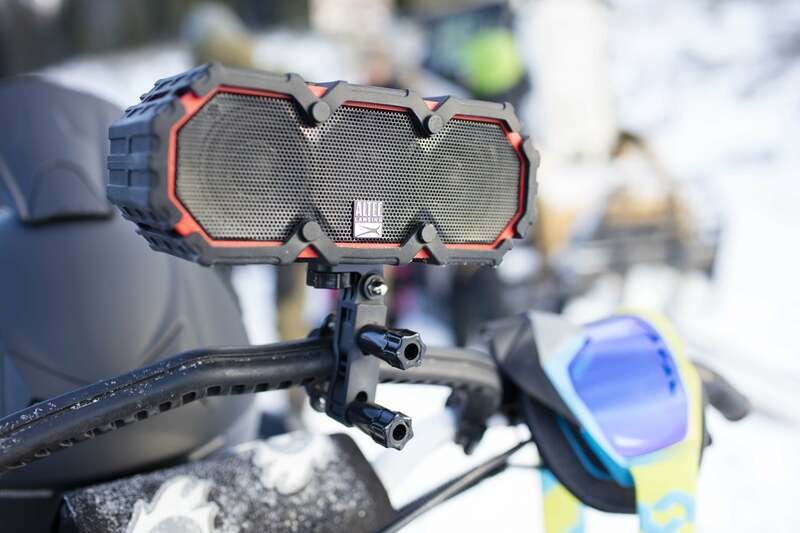 It’s even more handy when the manufacturer provides standardized sockets and accessories for mounting the speaker to an object, such as your bike’s handlebars. Speakerphone: Some Bluetooth speakers have built-in microphones that enable you to use the speaker as a speakerphone in concert with your smartphone. The sound quality will be much better than what you’ll get from your phone, and you’ll be able to turn the volume up much higher. This can be very handy for conference calls. Stereo pairing: Some speakers let you create a left/right stereo pair with two speakers (this works best, of course, when the two speakers are identical). Weatherization: Portable Bluetooth speakers can be used indoors and out, so the best models provide some protection from the elements. Ideally, the manufacturer will let you know just how much protection you can expect by providing an IP (International Protection) marking. The first digit rates the enclosure’s protection from particulate matter (e.g., dust) and the second digit rates its protection against liquids. 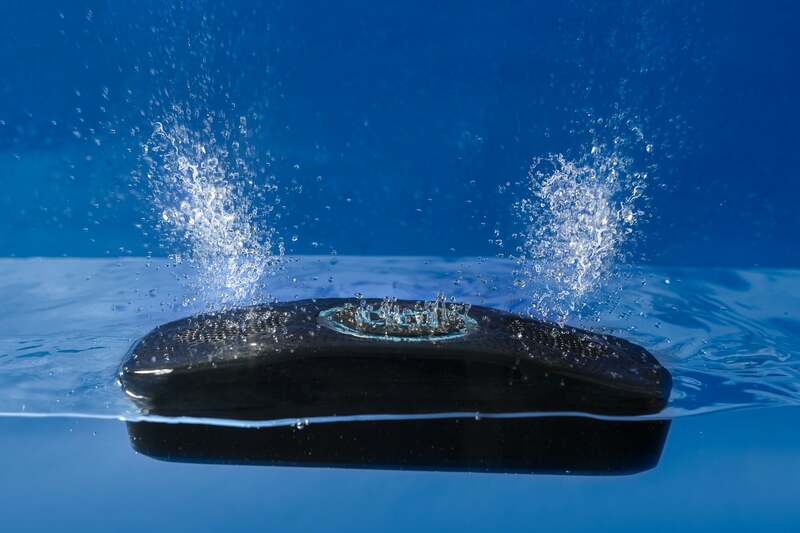 An IP64 code, for instance, indicates that the speaker is completely protected from dust (6) and from water splashed onto it (4). The higher the numbers, the more protection you can expert If either digit is replaced by an X—IPX4, for example—the code indicates that the speaker isn’t rated for protection from particles (this doesn’t necessarily mean that it’s not protected from things like dust, just that the manufacturer doesn’t rate its protection). 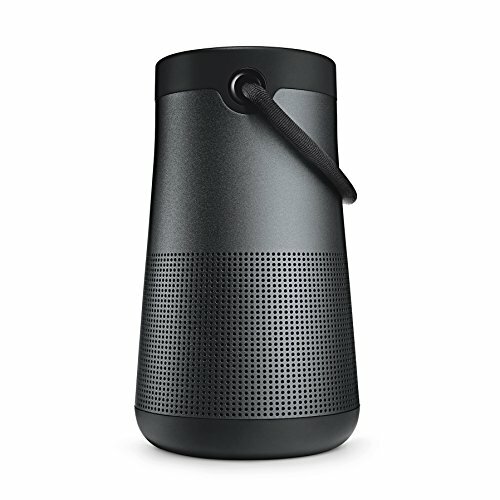 Wi-Fi: Higher-priced Bluetooth speakers also provide the option of connecting to your Wi-Fi network, so that you can stream music from a NAS box. Wi-Fi streams will offer higher fidelity than Bluetooth, even if the speaker supports the aptX codec. 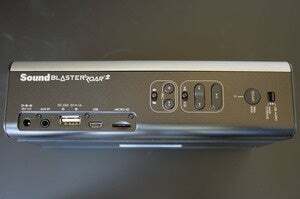 A speaker that provides for a hardwired network connection is all the more versatile. Wireless range: A Bluetooth speaker’s range depends on the power class of its radio, and it can vary widely and is impacted by the environment that it’s operating in. A Class 1 radio offers range of approximately 100 meters, but the number of walls between the Bluetooth source and the speaker and the type of materials in those walls will have a significant impact on range. It’s much easier for radio waves to pass through drywall than masonry, for instance. Objects in the signal path, such as large metal appliances, will reduce that range even further. 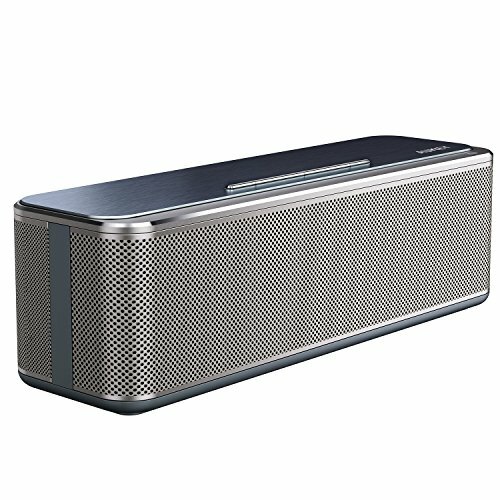 The Bose Soundlink Micro is a pricey, but competent and compact Bluetooth speaker that performs well at all but the loudest volumes. Edifier’s S880DB self-powered Bluetooth speakers deliver the sonic goods with whatever source you send their way, at a cost that won’t break your piggy bank. The Fender Newport is one of the best-sounding monophonic Bluetooth speakers we've tested. High-quality analog controls combine with plenty of volume and oomph hit both nostalgic and audio sweet spots. We've rarely heard $200 bookshelf speakers that sound better than the Fluance Ai40s. Though the woofer is only 5-inches, psychoacoustics allow for very good perceived low-end performance. The remote control is a perfectly simple and handy adjunct. This banging party machine brings your favorite tunes to your next party. The bass can be quite boomy, but it's sturdy enough to survive a dunk in the pool and keep on playing. This $100 speaker sounds like it should cost a lot more. The Soundcast VG1 Bluetooth speaker delivers great sound in a small, rugged package that’s easy to take with you anywhere.